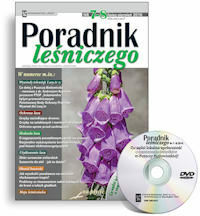 „Poradnik Leśniczego” (Forester’s Handbook) – what does it contain? 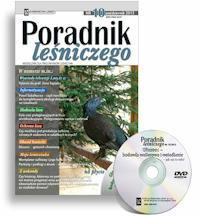 “Poradnik Leśniczego” is a monthly magazine containing specialist articles on how to run a forest economy in Poland. It deals with such topics as silviculture, forest protection, forest utilization, forest management, and informatization. It includes detailed descriptions of plans, actions and results of a forester’s work in the above-mentioned aspects of running a forest economy. 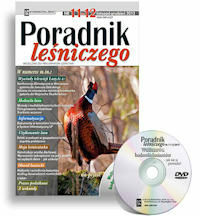 Each issue of “Poradnik Leśniczego” comes with a DVD movie that shows how a given task in forestry is carried out. The publisher came to the conclusion that conveying information in a practical manner depends not only on the correctness of textual descriptions, but also on presenting a given topic in a visual way. For example, the movie included with 1/2013 issue presents the technique and technology of sowing that is used in one of the container nurseries. The 2/2013 issue shows how to establish and exploit a populus plantation, with special consideration of the planting and harvesting process for the purposes of producing energy and converting into pulp wood. 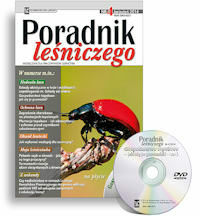 The DVD included with the 3/2013 issue presents ways of storing oak and beech fruits. Due to the high interest in such a way of presenting specialist knowledge, Wydawnictwo Świat will continue in this direction and publish the English language version of the magazine and DVD, which we warmly encourage you to order . Wydawnictwo Świat encourages authors from other countries to publish their articles and movies, as the ability to compare techniques and technologies can be of great significance for the development of science and practical knowledge in the field of forestry.